Chris, the technician, was knowledgeable and thorough. He was also very pleasant! 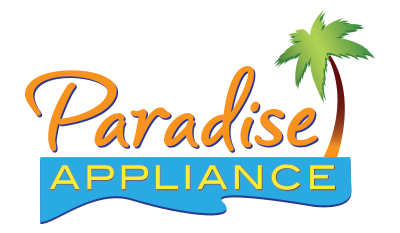 Enrique provided excellent service; he was professional, was very knowledgeable about the appliance, and explained the repair and provided tips for appliance care. This was the 5th visit for service, 2nd for Chris, but I really am grateful for Chris’ help. I explained the issue and what I thought he could be able to do to resolve my leaking Kitchenaid refrigerator. None of the previous techs took the time nor made the effort to consider these ideas. Chris listened to my ideas and came up with an idea to check and was able to identify a possible solution to the problem. His openness to hear my concerns and his technical skills allowed him to think “outside the box” and find a solution. I really appreciate his effort and am hopeful that he was able to fix the problem the refrigerator was having. I really appreciated Chis' effort in trying to solve our ongoing trouble with our KRMF706 refrigerator. He is the 3rd tech that has shown up and the only one that ran a diagnostic on our system! Nobody prior to him even mentioned it. He decided that our issue was probably an intermittent error with the control board and replaced it on a follow up visit. I appreciate that he actually took the time to understand what was going on and decided that something should be done. Great service Leak problem fixed. Had to wait several days for an appointment and then a week more to get parts but in the end I am happy with the repair as well as those who did it. Enrique Martinez was very professional and provided good communication and great customer service! Enrique was punctual, clean and offered quick diagnosis. Also like the ability to schedule visit online. Victor was very professional. Called before arriving. He listened to my concerns about the refrigerator repair. Although he could not confirm any reason why my unit continues to leak water, he was able to give me ideas of why it may be building up ice that is then thawing cause water puddles. While reviewing the unit he was able to identify a issue that was causing excessive “sweating” under the icemake and recommended a fix that was available. He had to order and return again for replacement which went well. Enrique did his job quick and diligently; he also provided me with recommendations to help prolong the life of my refrigerator. REFRIGERATOR WHIRLPOOL WRF555SDHV01 "Feezer door not closing good, removed frost from door slides and adjusted door, tested, closing fine now..."
REFRIGERATOR KITCHENAID KRFC704FSS00 "Not cooling, freezer section not defrosting, ordering main control board and wire harness with defrost thermistor. ; ordrng 1 w11333076 (main board) and 1 w11204566 (harness with termistor.)" DISHWASHER KITCHENAID KDTE204GPS0 "Spots and stains on dishes, ran diagnostics for two times and found no problem, customer stated not using rince aid or jet-dry, adviced need to start using it..."
DISHWASHER KITCHENAID KDTM404EBS3 "Not cleaning dishes efficiently, ran diagnostics found error code F6 - E1called techline ref#7724314888recommnended to clean out dishwasher with 1/8th of a cup of vegetable oil due to over sudsing preventing wash motor from circulating water efficiently. if this fails and dishes are still not cleaning properly, will need to replace detergent tray." REFRIGERATOR WHIRLPOOL WRF532SMHB01 "Fost build up in the freezer compart,ment, removed all frost and adjusted door, closing fine no air gaps, adviced.."
DISHWASHER WHIRLPOOL WDF510PAYWA "Not working at all, control on console not reponding, no power from board, need main control board and console, customer declined the estimate..total #408,55"
REFRIGERATOR KITCHENAID KRFC704FSS01 "Refrigerator doors not adjusting on top hinge due to holes on top cabinet are stripping or too wide, called tech line will contact customer for resolution....#7724380095"
DISHWASHER KITCHENAID KDTM404EBS3 "Not cleaning dishes, error code E4,F4,E1, ordering sump, main pcb and console, may not need all parts, sump too low almost touching floor, need help to pull out...; ordrng 1 W11114745 (console) and 1 W11087215 (main pcb) and 1 W10861526 (sump) and 1 2ndman (2nd man)"
REFRIGERATOR WHIRLPOOL WRS325SDHZ02 "Not dispensing ice, cleaned ice chute and adjusted ice door, reinstalled crispes and lubed tracks." DISHWASHER KITCHENAID KDTM404EBS3 "Not cleaning dishes properly, replaced lower spray arm and ran diagnostics...."
DISHWASHER KITCHENAID KDTE204DSS0 "Door falling down, replaced the door link kit and ran diagnostics, all passed"
DISHWASHER KITCHENAID KUDS03FTPA0 "Door not holding sepositiopn, replaced the link door kit and tested operastion, working fine now.."
REFRIGERATOR WHIRLPOOL WRB322DMBM00 "Reinstalled drawers and shelves, leveled it unit, adviced..."
REFRIGERATOR JENN-AIR JFFCC72EFP00 "Not dispensing water, removed and reinstalled water filter and now water is working fine, I wanted to take apart unit to check filter housing but customer said not to do so, if problem reoccursd will make an appointment.."
DISHWASHER KITCHENAID KDTE234GBS0 "Not working not cleaning, found inoperative wash motor, replacedthe sump assy and ran diagnostics, tested, working fine now..."
DISHWASHER KITCHENAID KDTM404ESS3 "Dispenser not opening, control notg responding, replaced dispenser assy, main pcb and console..."
MICROWAVE WHIRLPOOL KMHC319ESS3 doorc ame in busted; schdld next appmnt for 2/28 THU ! DISHWASHER WHIRLPOOL WDT730PAHZ0 "Not working, replaced the sump and motor, also replaced main control board." DISHWASHER KITCHENAID KDTE234GBS0 "Not working, washmotor neverr starts, need Washmotor and possible the main control board, customer wants unit replaced, call techline #772419902...."
REFRIGERATOR KITCHENAID KRFF300EWH01 "Damaged ff door need to be replaced, replaced door and tested, closing good now using #khz2800mpl1;"
DISHWASHER MAYTAG n/a "replaced rusted panel with new one and inspected it for dings or scratches, none found.. unit is complete"
REFRIGERATOR WHIRLPOOL WRT311FZDW01 "Frost in freezer, adjusted freezer door gasket and leveledc unit, tested door sealin g good now..."
DISHWASHER WHIRLPOOL WDT730PAHZ0 "Not working, spray arm wont rotate, ordering sump and contrpol, board; ordrng 1 W11085683 (sump and motor) and 1 W11305308 (electronic control)"
REFRIGERATOR KITCHENAID KRFC302EBS00 "Replaced the ref door and gasket, customer had the door." DISHWASHER AMANA ADB1400AGW1 "Not draining, possible drain motor nedded, customer does not want me to check or order parts, wants unit replaced.."
REFRIGERATOR WHIRLPOOL WRT518SZFM00 "Called customer no answer, came to tage door, person inside stated that the store just replaced the refrigerator." DISHWASHER KITCHENAID KDFE104DBL5 Customer complaint not working : run diagnose test all componenst tested ok to manufactory specificx.